Specialist in Implant Dentistry and reconstruction, University of Miami School of Medicine. Center for Dental Implants FL, USA. 1992-1994. Specialist in Dental Rehabilitation like: All on 4, crowns, bridges, veneers, inlays and onlays. 26 years of experience, 5000 patients from USA & Canada and more than 26000 implants placed. 700+ All on 4 ® successful cases, transforming our patient’s life. Fully bilingual doctor and personnel. 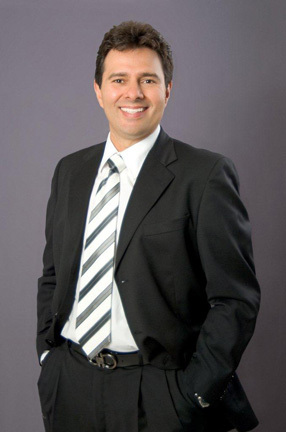 Founder and member of the Costarrican board of specialist in implant dentistry. Dental School, University of Costa Rica, 1990. General Practice Residency, C.C.S.S, Costa Rica 1991. Dr. Garita is a Trustee Member of The Greater Miami Chamber of Commerce. Our office is certified and accredited by AAAHC International. Fully digital case planning and paperless dental office. All cases diagnosed with the help of the most modern 3D dental tomography. All ADA protocols are followed.